The Mercure Blackburn Dunkenhalgh Hotel & Spa is set inside a beautiful 700-year-old country manor house. The building retains many of its original features, including turrets, porticos and a vast staircase, which help to make any stay extra memorable. Set amongst the iconic Lancashire countryside with its own extensive landscaped grounds, Dunkenhalgh Hotel is perfect for a relaxing break. The spa offers a full range of professional treatments, an impressive heated indoor pool and modern fitness centre. 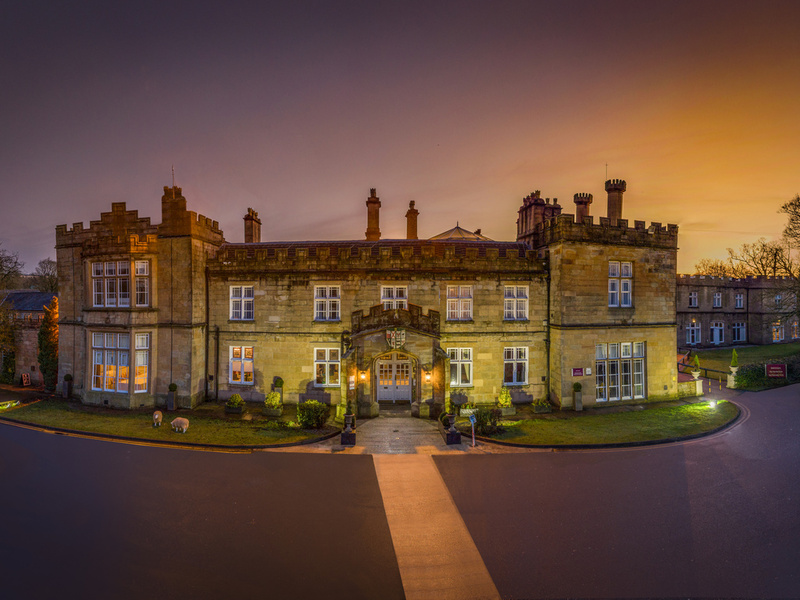 Set in 17 acres of glorious parkland, this 4-star hotel is in a 700-year-old building with restored original features. A number of tourist attractions are in easy reach including the Trafford Centre, Chester Zoo and Blackpool Pleasure Beach. 175 bedrooms blend age-old comfort with modern design and include one suite, three special feature rooms and enhanced accessibility rooms - as well as the brand new Executive Wing with walk-in showers and luxury welcome pack. All bedrooms are non-smoking and provide 24-hour room service, complimentary car parking, hair dryer, ironing facilities, flatscreen TV, and tea and coffee making facilities. The well-renowned restaurant of the Mercure Dunkenhalgh also has a fresh flavour thanks to the refurbishment project. The Cameo Restaurant has been elegantly redecorated to enhance its charm and offer an even more inviting environment. The Cameo Bar serves light snacks in an informal setting. An excellent selection of wine and beer is available both by the glass and by bottle. The leisure club offers a relaxing atmosphere and serves light snacks.